So here’s the thing about November and December: they were kind of the worst. 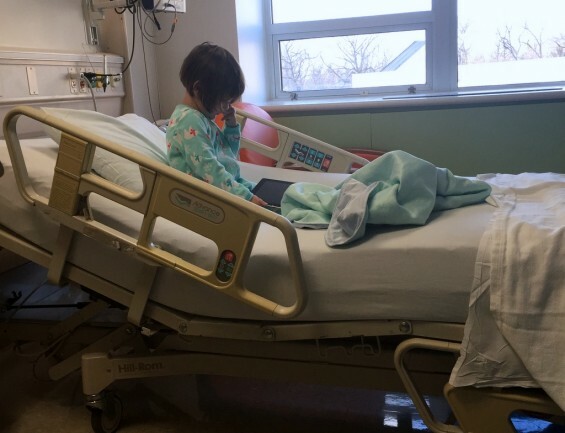 H spent 2 nights in the hospital the week before Christmas having some tests done. Everything came out clear, but we were still camped out in a hospital room with our little girl. And we may have more tests ahead of us. Nothing life threatening, but still awful. That photo above was when we first checked in, before she was all hooked up to wires.